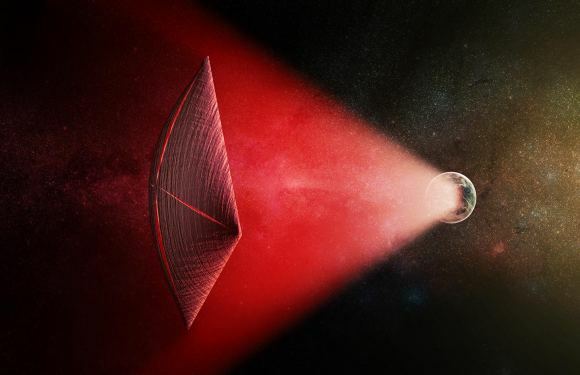 In the latest development, on Wednesday May 23rd, Breakthrough Starshot held an “industry day” to outline their plans for developing the Starshot laser sail. During this event, the Starshot committee submitted a Request For Proposals (RFP) to potential bidders, outlining their specifications for the sail that will carry the wafercraft as it makes the journey to Proxima Centauri within our lifetimes. 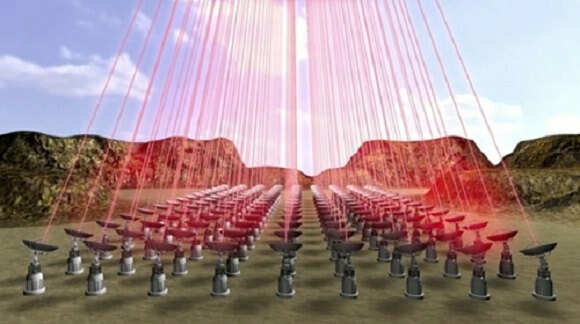 As we have noted in several previous articles, Breakthrough Starshot calls for the creation of a gram-scale nanocraft being towed by a laser sail. This sail will be accelerated by an Earth-based laser array to a velocity of about 60,000 km/s (37,282 mps) – or 20% the speed of light (o.2 c). This concept builds upon the idea of a solar sail, a spacecraft that relies on solar wind to push itself through space. At this speed, the nanocraft would be able to reach the closest star system to our own – Proxima Centauri, located 4.246 light-years away – in just 20 years time. Since its inception, the team behind Breakthrough Starshot has invested considerable time and energy addressing the conceptual and engineering challenges such a mission would entail. And with this latest briefing, they are now looking to move the project from concept to reality. As Loeb indicated, this RFP comes not long after another “industry day” that was related to the development of the technology of the laser – termed the “Photon Engine”. In contrast, this particular RFP was dedicated to the design of the laser sail itself, which will carry the nanocraft to Proxima Centauri. The RFP also addressed Starshot’s long-term goals and its schedule for research and development in the coming years. These include the investment in $100 million over the next five years to determine the feasibility of the laser and sail, to invest the value of the European Extremely Large Telescope (EELT) from year 6 to year 11 and build a low-power prototype for space testing, and invest the value of the Large Hardon Collider (LHC) over a 20 year period to develop the final spacecraft. The research and development schedule for the sail was also outlined, with three major phases identified over the next 5 years. Phase 1 (which was the subject of the RFP) would entail the development of concepts, models and subscale testing. Phase 2 would involve hardware validation in a laboratory setting, while Phase 3 would consist of field demonstrations. With this latest “industry day” complete, Starshot is now open for submissions from industry partners looking to help them realize their vision. Step A proposals, which are to consist of a five-page summary, are due on June 22nd and will be assessed by Harry Atwater (the Chair of the Sail Subcommittee) as well as Kevin Parkin (head of Parkin Research), Jim Benford (muWave Sciences) and Pete Klupar (the Project Manager). Step B proposals, which are to consist of a more detailed, fifteen-page summary, will be due on July 10th. From these, the finalists will be selected by Pete Worden, the Executive Director of Breakthrough Starshot. If all goes according to plan, the initiative hopes to launch the first lasersail-driven nanocraft in to Proxima Centauri in 30 years and see it arrive there in 50 years. So if you’re an aerospace engineer, or someone who happens to run a private aerospace firm, be sure to get your proposals ready! To learn more about Starshot, the engineering challenges they are addressing, and their research, follow the links provided to the BI page. To see the slides and charts from the RFP, check out Starshot’s Solicitations page. Previous PostPrevious Are There Enough Chemicals on Icy Worlds to Support Life?